The rain on the Plains falls mainly on Minnesota. When does perception become reality? Readers often comment on how flooding appears to be on the rise. Data confirms this. The Minnesota DNR reports 11 "mega-floods" since 1973; eight of them occurred since 2000. Two factors seem to be in play: warm weather weather systems may be more prone to "cutting off" and stalling, prolonging deluges. And every 1F increase in air temperature means 4 percent more water vapor floating overhead; jet fuel for thunderstorms. Today Highway 41 closes south of Chaska, and flooding woes and standing water plagues much of southern Minnesota, which has been hammered by a treadmill of sloppy storms in recent weeks. Showers and T-storms today give way to a drier, sunnier sky Wednesday. We heat up as the week goes on, with Friday highs in the mid-90s; a heat index from 100-105F. T-storms may provide slight relief Saturday; drier and somewhat cooler air arrives Sunday, but we slowly heat up again next week. Highs should flirt with 90F on the 4th of July. A real summer this year? You betcha! Saturated. The ground over most of southcentral and southwestern Minnesota is waterlogged; any additional rain almost immediately running off into streams and rivers. There is standing water on many fields over southern Minnesota, and no wonder: NOAA data shows 3-4 times the normal amount of rain last week south of a line from Redwood Falls to Mankato. The full NWS SitRep is here. The Midwest Is Getting Drenched, and It's Causing Big Problems. A story at FiveThirtyEight does a good job highlighting the steady increase in extreme flash flood events across Minnesota and the Upper Midwest. Here's an excerpt: "...Minnesota is getting wetter. Over the last 100 years, the state has seen more storms that produce heavy rainfall, and its strongest storms have grown more intense. One of the more dramatic changes is the increasing number of “mega-rain” events — rainstorms during which at least 6 inches of rain falls over at least 1,000 square miles and the center of the storm drops more than 8 inches of rain. Minnesota has had 11 mega-rains since 1973, and eight of them have come since 2000. Two mega-rains swept through in 2016, which is only the third time the state experienced more than one mega-rain in a year. (It also happened in 1975 and 2002.)..." Map source: NOAA and Washington Post WonkBlog. Warmer North - (Much) Wetter Southern Minnesota Last Week. The Midwest Regional Climate Center has a recap of the period f rom June 18 to June 24, with some 2-5" amounts - a month's worth of rain in many communities falling in less than a week. Heaviest Rains Track South of Minnesota. Iowa will bear the brunt of this storm, a few tornadoes yesterday - today 1-3" rains likely. A few heavier bands will reach into southern and central Minnesota with rainfall amounts generally under .2 to .3". NAM guidance: NOAA and pivotalweather.com. Fried-Day. 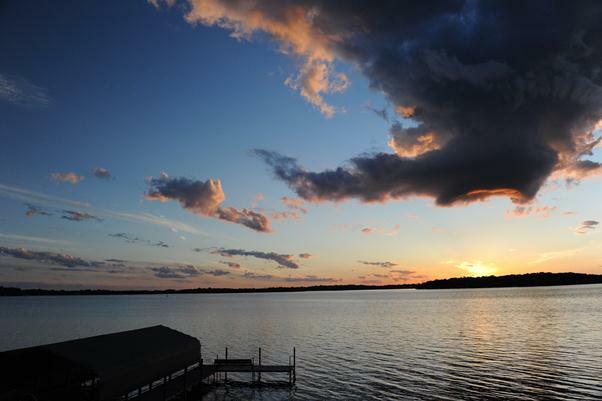 The state will sizzle on Friday, which may wind up being the hottest day of the week with highs in the mid-90s and a heat index over 100F in the Twin Cities. Map credit: AerisWeather and Praedictix. NOAA Won't Drop Climate and Conservation From Its Mission, Agency Says. 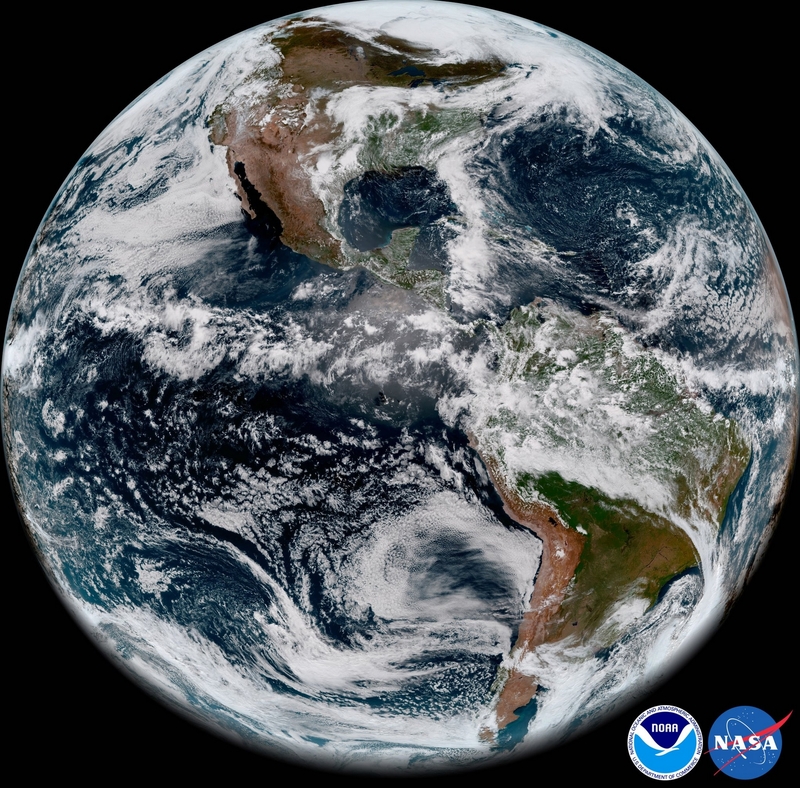 USA TODAY has the latest: "The United States' top weather, climate and ocean science agency – NOAA – will not drop "climate" from its mission statement nor will it de-emphasize research into climate change and resource conservation, the agency said Monday. This follows a report Sunday from a science advocacy group, the Union of Concerned Scientists, that said the acting head of NOAA, Rear Admiral Timothy Gallaudet, proposed a new mission statement for the agency — one the Union said would "undermine the agency’s vital work on behalf of the American people." The first line of NOAA's mission statement is "to understand and predict changes in climate, weather, oceans and coasts." According to the Union, Gallaudet proposed last week that it be changed to "observe, understand and predict atmospheric and ocean conditions..."
More Cities Across Minnesota Are Turning to Renewable Sources of Energy. Star Tribune has the story; here's a clip: "...Solar has grown so quickly in Minnesota, in fact, that between 2016 and 2017 the amount of solar power produced didn’t just double or triple, but grew by a factor of 72, according to the Minnesota Department of Commerce. That was enough to raise solar power from .03 percent of all electricity generated in the state in 2016 to 1.2 percent a year later. The surge has prompted several Minnesota city governments, including Minneapolis, to set bold goals to go 100 percent renewable by a set date. Of the municipalities racing to get there, St. Cloud may be the leader. Its subscriptions to solar gardens and use of geothermal and conservation measures have it claiming an 83 percent renewable rate for the city government..."
Photo credit: Aaron Lavinsky, Star Tribune. "A 220-kilowatt solar array powers the St. Cloud Wastewater Treatment Plant, along with a biodigester that turns sewage into energy." Photo credit: Associated Press. "In this aerial drone image taken from video and provided by the Sioux County Sheriff’s Office, tanker cars carrying crude oil are shown derailed about a mile south of Doon, Iowa, Friday, June 22, 2018. About 31 cars derailed after the tracks reportedly collapsed due to saturation from flood waters from adjacent Little Rock River." (Sioux County Sheriff’s Office via AP). A Red State Goes Green: How Texas Became a Pioneer in Wind Energy. CBS News reports: "...People there say coal plants kept the lights on for generations. Then, Republican Mayor Dale Ross concluded the market was changing. Unlike many Republicans, Ross accepts climate science. He supports clean power so much he bought an electric motorcycle. But Ross said he approved wind and solar because it's affordable. "This was first and foremost a business decision and if you win the business argument, then you're gonna win the environmental argument," Ross said. "It's a totally different landscape out there," he said. "And let me tell you, in the state of Texas, since January 1, four coal plants have closed. This is the economics of the matter. You buy wind and solar for, say, $18 a megawatt. You buy coal for $25. You have that choice. Which one are you gonna buy?..." Photo credit: "Wind turbine farm in Texas." CBS News. The 25 Highest-Paying Jobs You Can Get Without a Bachelor's Degree. Here's the intro of an eye-opening post at Money: "Don’t have the time or money to get a bachelor’s degree? Don’t fret. There are plenty of high-paying jobs that require only a two-year associate degree, postsecondary non-degree certificate, or even just a high-school diploma. According to the latest data from the US Bureau of Labor Statistics, these are the 25 highest-paying jobs that you don’t need a four-year degree to pursue. Each has a median annual salary of at least $68,000..."
In The Era of A.I. and Automation, What Job Skills Do You Need Most? Big Think has a worthy read; here's a clip: "...The job to avoid in the future, however, are the middleman jobs, for example, brokers and low-level tellers and accountants. For example, today when you go to a stockbroker you no longer buy stock. Now you may say to yourself, “That’s stupid, everybody knows when you go to a stockbroker you buy stock, I mean what else are you going to buy?” Well, no. You don’t buy stock when you go to a stockbroker. You can buy stock on your wristwatch so why bother to go to a stockbroker? Because you want something that stockbrokers provide that robots cannot. And that is intellectual capital. That means experience, know how, savvy, innovation, talent, leadership—none of which computers and robots can provide. So the large explosion of jobs in the future will be jobs that robots cannot do, i.e. Jobs involving pattern recognition and jobs involving common sense, as well as middlemen jobs that involve intellectual capital, creativity—products of the mind. Those are the jobs which are still going to flourish in the future..."
83 F. high yesterday in the Twin Cities. 82 F. average high on June 25. 69 F. high on June 25, 2017. June 26, 1982: Cold air moves into northern Minnesota. Kulger Township dips to 31 degrees. Duluth registers 36. Antarctic Ice is Melting Faster. Coastal Cities Need to Prepare Now. An Op-Ed from the Editorial Board at The Washington Post had a post that caught my eye; here's a snippet: "...The paper took data from researchers who estimated Antarctic ice loss in 24 studies using three methods. These three methods resulted in parallel, wholly independent readings that largely matched up. Their combination produced findings that even the most circumspect critics of climate science should not be able to ignore. As Antarctica melts, North America will take a particularly hard wallop. Melting ice shrinks Antarctica and, therefore, its gravitational field. Without as much mass pulling ocean water south, sea levels will rise farther north as the oceans redistribute. For every centimeter the seas rise, major East Coast cities will see a roughly 1.25-centimeter increase. Coastal cities need to start preparing, now..."
Photo credit: "A glacier in Half Moon Bay, Antarctica, on Feb. 18". (Alexandre Meneghini/Reuters). Special Report: 30 Year Alarm on the Reality of Climate Change. Axios takes a look at Dr. James Hansen's prediction vs. reality and includes an interactive graphic of the observed warming in the subsequent 3 decades. Tracking the Trends. For details on how the graph above was created click here, courtesy of Columbia University and NASA. Area Lake Flooding a Signal of Climate Change? The rain is coming down harder, yes. A story at madison.com caught my eye: "...Climate change experts are predicting that heavy rains that create flooding lakes are going to be the norm so preparations must begin immediately to deal with the next emergency at the lake. It’s an expensive proposition and the potential of moving or building up homes in the flood plain and improving roads will require help from the state and national levels, Parisi says...."